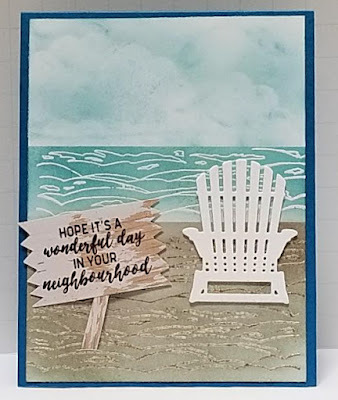 This card was made as a Design Team card for Watercooler Wednesday's WWC207 - Helen's Feminine "Anything Goes" Challenge. I didn't want to do a flowery feminine card, since that's not really me, and dream catchers seem to be associated with the more feminine side. 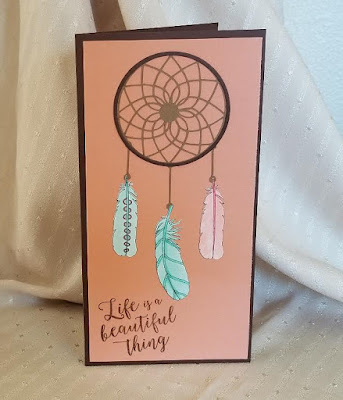 I used an .SVG cut file to cut the dream catcher from Stampin' Up! (SU) Kraft cardstock, and my Sizzix circle dies to cut an SU Early Espresso circle to overlay the frame of the dream catcher for added contrast. The three feathers are from SU "Just Add Color" Specialty Designer Series Paper (DSP). They are in B&W, so I used my ScanNCut2 to scan and cut them out of the DSP, then colored them with Copic markers. The dream catcher and feathers were glued to the main SU Groovy Guava Panel using Zig 2-Way glue. 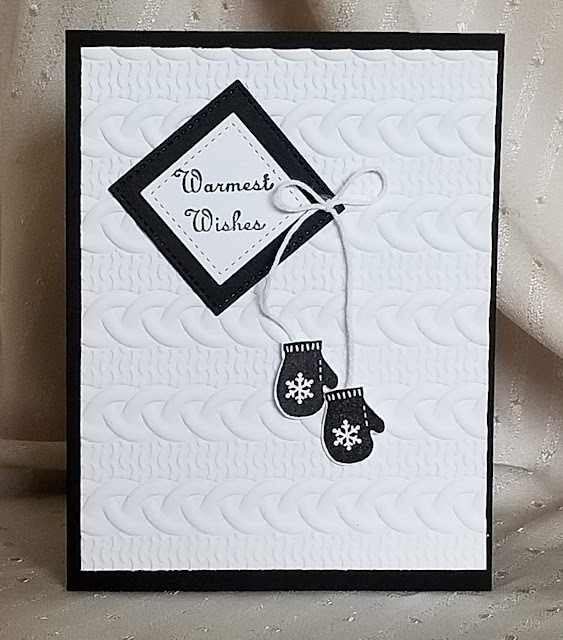 The sentiment was stamped at a slight angle (for whimsy) using a stamp from the SU "Colorful Seasons" set with SU Early Espresso ink. The main panel was mounted on the 4 1/2" x 7 1/2" (folded 9"x 7 1/2") SU Early Espresso card base. The card came together pretty quickly once I found the free dream catcher SVG cut file on the Internet. So I am rating the difficulty level as a "2" out of a possible "5". 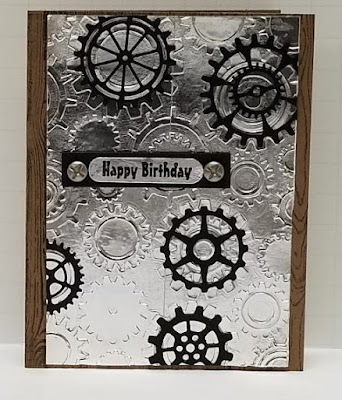 The dream catcher could have been stamped, but I like the added dimension and texture the cut piece adds to the card. Paper Size: 4 1/2" x 7 1/2"